With the playoffs around the corner, the top teams of Major League Baseball are preparing for a World Series run. September is the month where the best of the best can rest a little bit. They have compiled such good records throughout the course of the season that they can line up their pitching for the postseason. People who have minor injuries can rest them because they can afford to. Teams contending for those wild card spots do not have this luxury. Teams like the Red Sox, Tigers, Dodgers and Braves are in position where they can visit the pit stop for some good maintenance. All four teams represent the No. 1 seeds if this were a bracket. However, the team with the best chance to win it all this year is the Detroit Tigers. Miguel Cabrera. Need I say more? They have the best hitter in baseball and he is having another phenomenal season, chasing the Triple Crown. He may have off-the-field issues, but who cares? He is becoming one of the best hitters of all-time in terms of power, clutchness and batting average. It does not matter what pitchers he faces. You know the adage, “good pitching beats good hitting,” Not with Cabrera. He reminds me of the Dos Equis Guy, aka the “Most Interesting Man in the World,” except Cabrera advertises hitting. They have invented a new pitching category for pitchers who start against the Tigers when he does not get a hit. A Complete Miguel Cabrera Shutout. Pitchers are relieved when he hits a double because they prevented him from scoring on his own hit. “Miggy Pop,” as his teammates call him, could outhit most of the league using a tennis racket. Slight exaggeration, but he is truly that good. With another Triple Crown in sight, Cabrera will be sharp once October comes around and lead this potent Tigers offense. Max Scherzer is having a breakout season. Very simply, he is 19-3 with a 3.01 ERA as of September 12. His team seems to always give him run support and Scherzer looks like he will be the Game 3 starter. That’s like having to drive the Porsche third because you had to drive the Bentley and Aston Martin first. His last name may be tough to look at, but his pitching this has been anything but. Anibal Sanchez might be the most consistent starter out of the group, proving he is worth every penny that he was signed for in the offseason. Doug Fister is that crafty veteran of the group and could be a No. 1 or 2 starter for most teams. He would have to wait until Game 4 to pitch, if there is a Game 4. From top to bottom, the Tigers’ big four is lethal, all capable of shutting out any team on any given night. Good luck hitters. You are going to need it. Now let’s take a peek at the supporting cast. The Tigers spent a lot of money landing free agent Prince Fielder and he is doing a great job playing Robin to Batman. First of all, the only reason Cabrera is able to not get pitched around is because Fielder is licking his chops in the on-deck circle. 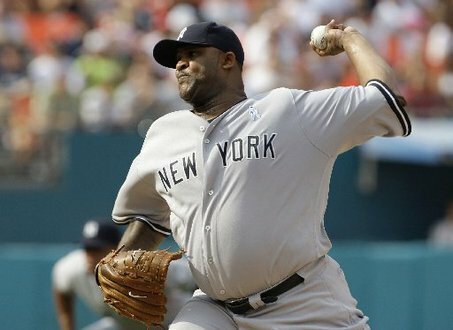 If anything, Fielder has it tougher because he is the one in position to get pitched around in a tight spot. He has remained under the radar a lot, but don’t be surprised if he ended up being the MVP of the team in the postseason. He is posting very solid numbers this year and combined with Cabrera, represent the most formidable 1-2 punch in baseball. It’s a right-handed and a left-handed punch that Canelo Alvarez could have sure used against Floyd Mayweather. Torii Hunter joined the ball club this year and has rejuvenated his career. After some underachieving seasons with the Los Angeles Angels of Anaheim, Hunter is killing it this year. Just like his name, his two eyes help form his identity. And this year, he is seeing the ball brilliantly, hovering around a .300 batting average with a chance at 90 RBI this year. Austin Jackson, like Fielder, is having a respectable year leading the way at the top. The main reason Cabrera has a shot at the Triple Crown is because Jackson and Hunter are always on base. They set the table. A good running back cannot excel without a good offensive line. A good eater cannot eat if there is no food on the table. Maybe that’s why Cabrera has gotten so plump in recent years. This supporting cast around Cabrera makes so many of his at-bats meaningful. They all are patient and know their roles. This lineup is going to be very tough to beat. Since the Biogenesis suspensions were handed out, the Tigers have reached somewhat of a lull in their season. They lost Jhonny Peralta to this steroid suspension, and some have said that this has gone hand in hand with their plateau in their performance. I think not. Jim Leyland would not let this happen. Let’s cut the Tigers a break. They played in the World Series last year and are eager for it to be October again. Every “championship or bust” team goes through this. The regular season can be boring at times, especially when you play 162 games in a season. They know how good they are and how little meaning the regular season has once a playoff spot has been secured. Leyland, the second oldest manager in the big leagues, has seen a lot of baseball in his day and knows how to manage teams through this phase. Experience is something that the Tigers have on their side all throughout their roster and Leyland is the brains of the operation. He is the jockey and is keeping the reins on his thoroughbred until the final sprint of the race. The Tigers have comfortably led the AL Central throughout the entire season. Sure, the Indians and Royals have been feel good stories and given Detroit a little reason to cause to pause, as they say, but let’s be honest, it’s the Cleveland Indians and the Kansas City Royals. Kansas City fans have moved on to supporting the Chiefs and Cleveland fans are already looking toward the NFL Draft. They have better hitting than the Dodgers and Braves, subjectively and statistically speaking. And compared to a similar offense in the Red Sox, their pitching staff trumps Red Sox hands down. The Tigers are equipped with the most powerful offense in baseball, led by Cabrera, the best hitter in baseball. With guys like Fielder, Hunter and Jackson surrounding him in the lineup, crooked numbers can happen in any given inning. Role players in Andy Dirks, Alex Avila and Omar Infante will be crucial as well. Look for many calls to the bullpen by opposing managers. If by some chance the offense has an off night, the hurlers will be waiting to show the team’s true stripes. Pitching is vital in October and the Tigers, led by Verlander and Scherzer, have plenty of it. Throughout the playoffs, the Tigers will have a top pitcher on the bump, and the opposing offenses will have an uphill battle, literally. Throw Leyland into the mix with leadership and experience, the ingredients are in line for a World Series title. You heard it here. Detroit Tigers will be champions at the end of October. speciﬁc pitchers history vs a speciﬁc team? than winning 53 games out of 100.
still Opening Day in New York City and in no way will be a cake walk for the sox. for the last game he pitched; but to prove he’s worth the money as well. punch for punch with the Tiger’s, regardless Verlander is on the mound or not. Chris Young and Justin Upton via trades. teams having fresh bullpens, this is the kind of game I see ﬁnishing in the 4-2 range. Good luck, and lets start off Opening Day with a bang. All information regarding gambling is intended to be purely educational from an academic perspective, and not to actually encourage gambling. We are in no way condoning gambling and are not afﬁliated with any and all casinos/sports books mentioned.